Houston Archaeological and Historical Commission (HAHC) meeting dates. Click here for schedule. On July 22, 2015, Houston City Council designated the David House and the James A. and Margaret Wiess Elkins House as historic landmarks. Council also designated the Heights Theater and 308 Main as Protected Historic Landmarks making them exempt from demolition and inappropriate alteration. The building at 308 Main Street was built in 1880 following a fire in July 1879 that destroyed half of the 300 block of Main Street. 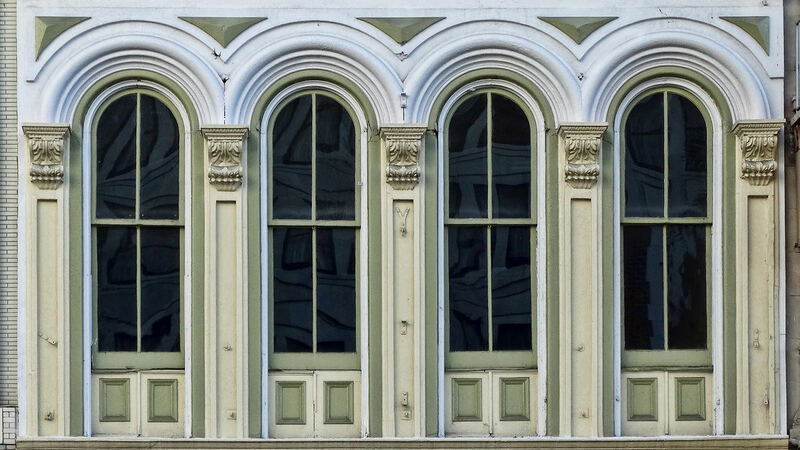 Designed in the Italianate style, 308 Main Street is one of downtown Houston’s last remaining Victorian commercial buildings. The three buildings now addressed as 308, 306, and 304 Main Street were constructed at the same time by the same owner, although they appear as three separate buildings today with distinct facades, and are under separate ownership. 308 Main Street retains many of its original Italianate features, such as its heavy ornate sheet metal cornice, ornate iron window hoods, and iron sills. The wall surface of the upper floors is clad in plaster styled to appear as rusticated stone facing. The building was restored in the 1990s. The building is a contributing structure in the Main Street Market Square National Register Historic District. Originally built in 1929 with a Mission-style stucco façade, the exterior was updated in 1935 into the Art Moderne style that it still maintains today. The building was owned and operated as a neighborhood cinema by the Wygant family until 1958, when John Scott purchased the theater and continued to operate it as a neighborhood cinema. A full renovation took place in the late 1980’s and it reopened in 1989 as a performance venue and art space. It also housed an antiques store for a time. The David House at 1807 Wroxton Road, completed in 1971, was designed in 1969 by the noted architect and landscape architect Charles Tapley, FAIA. The David House was designed for Grace David and her husband Henry David. In the 1960s and 1970s, Grace David was known in Houston as a discriminating art collector, astute business woman, outstanding hostess, and sophisticated owner of the Bookman bookstore and the David Art Gallery. Grace David was close friends with author Larry McMurtry, who based the character of Aurora in his novel Terms of Endearment on his observations of Grace David and her colorful life. Her husband Henry David was a drilling-mud pioneer and self-made tycoon. The David House is located in the Southampton subdivision. The David House is an exceptional example of contemporary Houston architecture of the late 1960s and early 1970s influenced by modern architecture and experimentation with modern forms. The James A. and Margaret Wiess Elkins Jr. House at 3405 Meadow Lake Lane was designed by John F. Staub and John Thomas Rather, Jr. The house at 3405 Meadow Lake Lane was built in 1947-1948 for James A. and Margaret Wiess Elkins Jr., and was later owned by Mr. and Mrs. Frank Bellows. The two-story brick residence at 3405 Meadow Lake Lane was built in the Modern style. The residence features decorative brick banding and an inset entrance with a decorative wood entry door. The residence was renovated in 2013 and again in 2014. As part of the renovation, the roof was restored to its original condition with a cedar shake roof covering and all of the non-original metal windows were replaced with new metal awning style windows that match the original metal awning windows. On June 10, 2015, City Council approved the Magnolia Cemetery, located at 816 Montrose Boulevard at the intersection of Montrose Boulevard and Allen Parkway, as a historic landmark. It was established in 1884 by members of First German Methodist Church of Houston (later known as Bering Memorial Methodist Church) for use of its congregation. The original name of the cemetery was Magnolia Graveyard. Burials were opened to nonmembers of the church in 1892. With more than 3,800 interments today, Magnolia Cemetery Corporation operates as a non-profit perpetual care cemetery insuring proper care and maintenance for all future generations. The cemetery originally extended north to the south bank of Buffalo Bayou. When the City of Houston paved Allen Parkway in 1929, all cemetery property north of Allen Parkway was ceded to the city. Today, the cemetery is walled off from the heavy traffic along Montrose Boulevard and Allen Parkway, giving it a park-like setting. While the burials in Magnolia Cemetery are a good mix of solid, hard-working citizens, the most well-known is Gus Sessions Wortham, co-founder of American General Insurance. Wortham told his friends that he hand-picked his last resting place so he could "keep an eye on things," alluding to the business at American General, which is located adjacent to the cemetery. Mid-century ranch home, with a sputnik light fixture. High First Ward Historic District established, May 28, 2014. On May 28, 2014, the High First Ward becomes the City's 22nd Historic District. The renovated duplex bungalow in the Norhill Historic District. Just ask Chris Ferguson. Through Ferguson Home Group, Chris has been building and remodeling residential and commercial properties for 7 years. He prides himself on having an eye toward emerging trends. One such trend he sees is a desire to live with affordable urban luxury - simple, but with high quality. 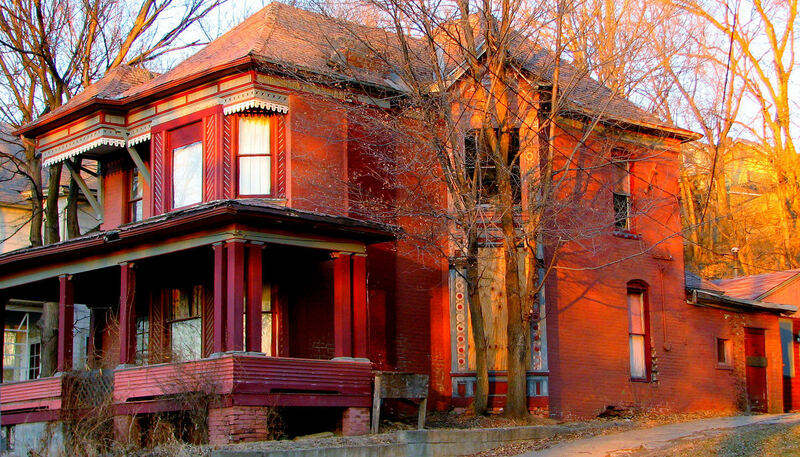 Avondale is a cozy community full of beautiful historic homes. Musings on the state of historic preservation. HoustonPreservation.org banner and color design by Ric Dentinger.